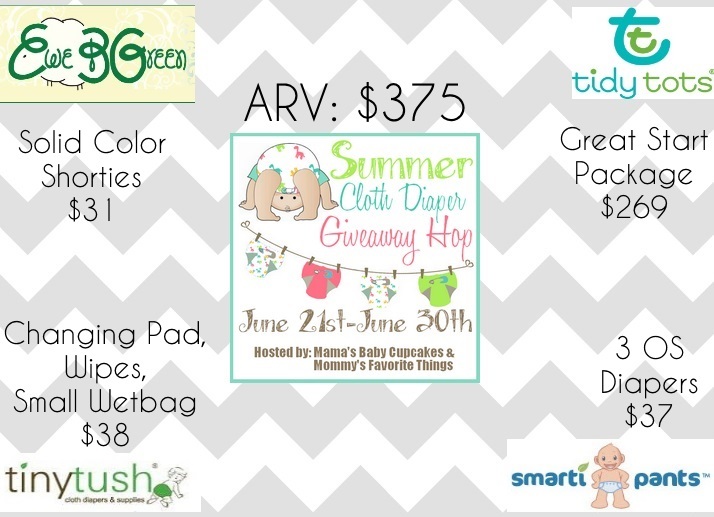 A big thanks to Buttons Diapers for sponsoring today's giveaway!! 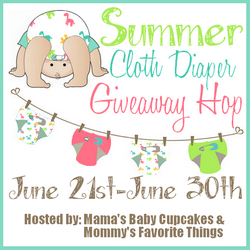 Today marks the official first day of summer and what better way is there to celebrate than with a cloth diaper giveaway!? Today, I'm excited to share with you a giveaway from one of our personal favorites, Buttons Diapers. Buttons Diapers are an all-in-two system featuring adorable and affordable one size covers and absorbent snap in inserts. I first shared my thoughts on Buttons Diapers in this review...and wrote again about their wet bags here! From their diapers to their accessories, Buttons Diapers are fantastic! We LOVE them! Some of you may even have seen my daughter's adorable self on their website and Facebook pages. Buttons has also recently added some adorable new color options...and PRINTS! As if they really needed to get any cuter, they DID! I absolutely LOVE them...so perfect for summer. Stay tuned for more information on these wonderful new prints!!! And don't forget to connect at the links below to stay up to date on everything Buttons!! If you had $25 to spend at Buttons Diapers, what would you choose? A new cover? An adorable print? A few wet bags? One lucky reader is going to have the chance to win a $25 gift certificate to buy their choice! Enter using the Rafflecopter form below. Mommy's Favorite Things, Mama's Baby Cupcakes and the Summer Cloth Diaper participating bloggers are not responsible for a sponsor who does not fulfill their prize. I'd get the trial pack in cherry! I would choose their two of their covers in acres and hero print. I love buttons diapers they are a great diaper. I want to pick Charming but I really need some solid colors so maybe Pebble? I would choose their Diaper Cover - One Size - Hero! I would choose the diaper cover in charming! I think I'd get the charming print, and for sure more inserts. I have 4 covers already and not nearly enough inserts! As much as I'd love to try the diapers, I really need some accessories. I'd choose a large wet bag in apple, and some Flushable Bamboo Liners. I know my son would really like the hero print cover. Can't I pick them all??? I wan't them all! I would get the pebble cover with some night and daytime inserts. I would probably get a trial pack, with the cover in banana cream. I'd love to try the nighttime inserts! I'd like to get the Sweet Pea diaper cover. I'd get cotton flannel wipes for my newborn. I would get 2 covers if I won. I love Charming. I would get the Acres and Peony covers if I won. The print and solid are SO awesome! I would pick a couple of new covers. You can never have too many! I would get a couple of shells in the new prints. I would love to get covers in peony and thicket! Acres Diaper Cover and Large Daytime inserts! I'd purchase the trial pack in Marina. I'd choose the acres cover and daytime Lg inserts. I'd get the Marina and Pebble diaper covers. I like the acres and thicket prints.